First, let me give you an update and admit that life with five little kids is crazy. Reese is six weeks old now and we haven’t settled into any kind of routine yet, so I’m constantly trying to juggle cooking, cleaning, work, and life in general. It’s overwhelming. The kids adore their new baby sister though and I am obsessed with cuddling her. 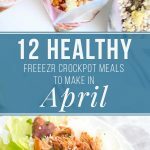 I came up with the idea to freeze some meals that I could cook later in my Instant Pot or crockpot and it’s been the best thing ever. 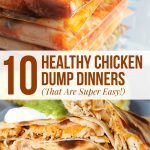 They’re healthy, delicious, and so easy to make. 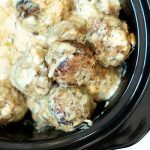 I doubled each recipe and made a second set with beef for a total of 10 different meals. Woot! 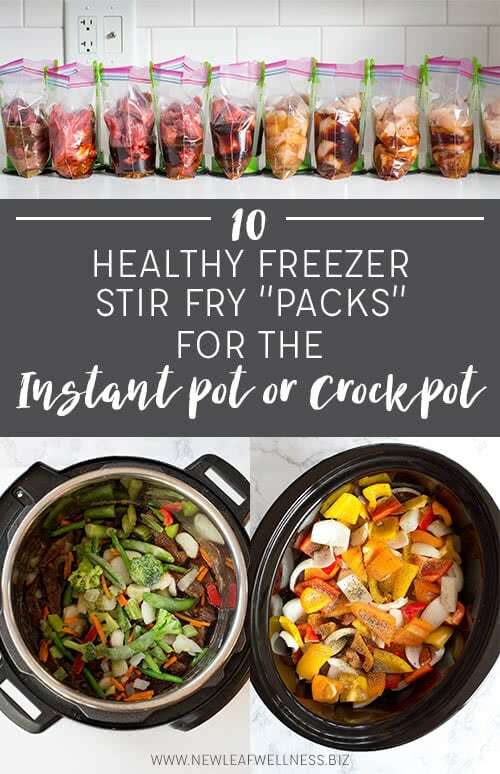 What’s so great about these freezer stir fry packs? They’re easy to prep ahead of time. None of the recipes required any cooking before freezing, so I was able to prep all 10 stir fry packs in 50 minutes (including cleaning up my kitchen). That works out to only five minutes per meal. 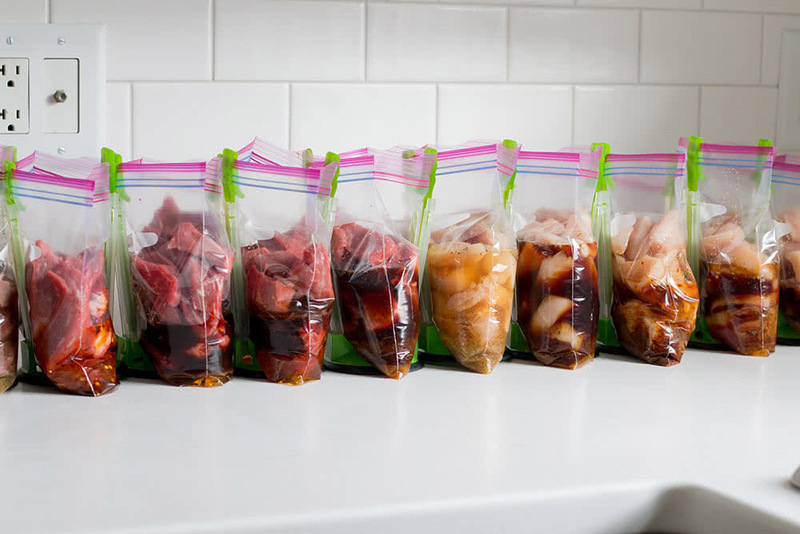 To cook, I took a frozen bag and ran it under water to separate it from the bag. 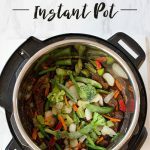 Then I dumped it into my Instant Pot or crockpot. 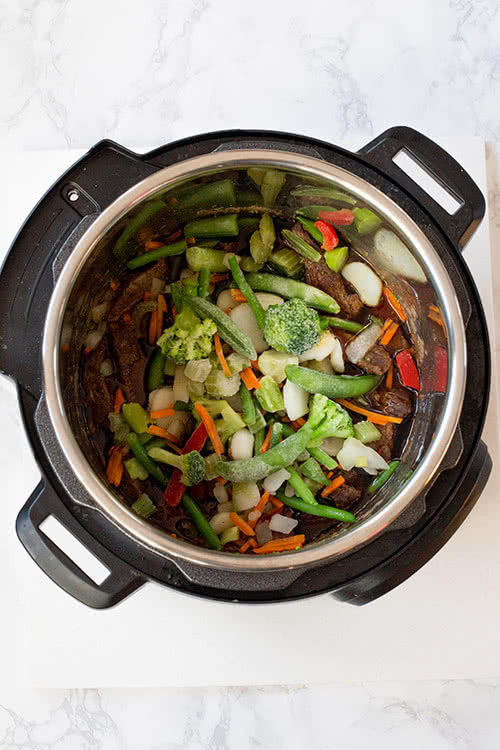 Last, I added one pound of vegetables and cooked for another one minute in the Instant Pot or 30-60 minutes in the crockpot (You can also add the veggies to the crockpot at the beginning of the cooking time – we prefer to cook them with the sauce but I know some people like them al dente, so it’s up to you.). They were cheap. I only spent $1-2 per one pound bag. They saved me a lot of prep time. No extra peeling or chopping required. Fresh broccoli doesn’t freeze well. For some reason it oxidizes more than other fresh vegetables in the freezer and tastes bad if it isn’t cooked ahead of time. 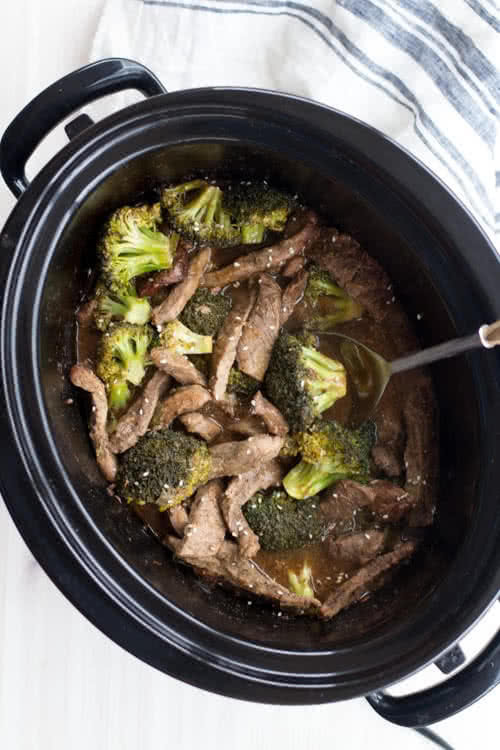 I knew I wanted to make beef and broccoli, so fresh vegetables weren’t an option for that recipe. I could go on and on about these meals, but I’ll stop now and just say that I can’t wait to make them again. If you have any questions, let me know. What is a good price for sirloin tip roast? I’m excited to try these! 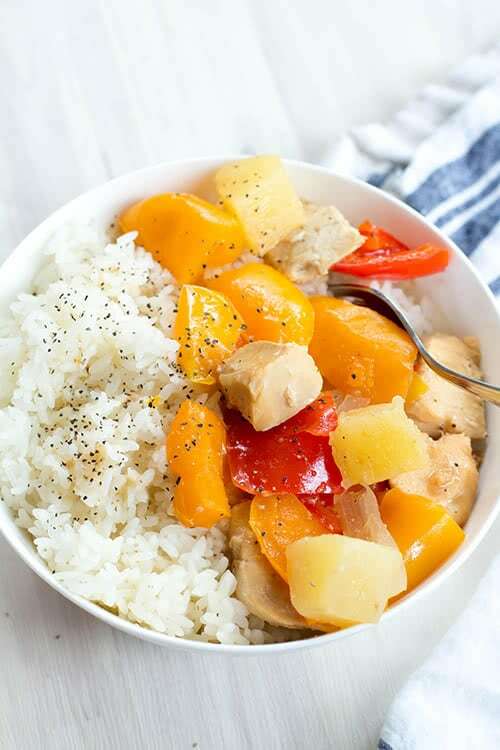 Wow these foods look very delicious! Thanks for sharing! So after I put the frozen veggies in the instant pot, I have to wait for it to come to pressure again and then cook two mins? Yeah, 1-2 minutes. It comes to pressure pretty quickly.